The latter is on-sale now via Sonos.com and select retailers. The Sonos Amp boasts 150 watts of power per channel, allowing it to support four speakers instead of two. It also features a HDMI Arc port for easy interfacing with home theater systems, plus support for AirPlay 2, line-in switching and volume pass-through. 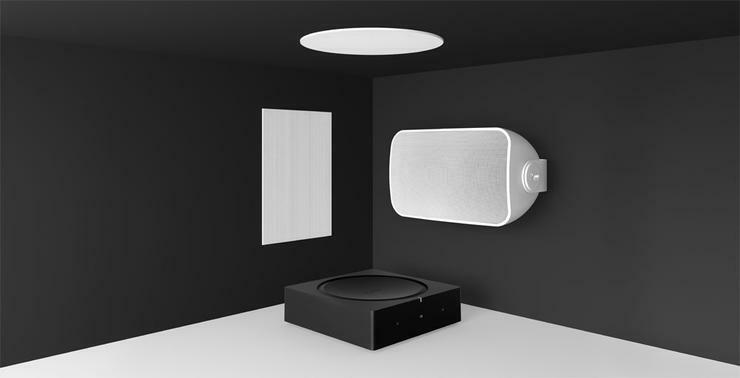 Meanwhile, the Sonos Architectural by Sonance speaker lineup consists of three speaker sets: the Sonos In-Wall by Sonance, the Sonos In-Ceiling by Sonance and the Sonos Outdoor by Sonance. The In-Wall and In-Ceiling speakers will be available for pre-order from the 6th of February. Sonos say that general availability will begin on the 26th of February and that the Outdoor speakers will follow in April. “Our goal was to create a solution optimised for installers, bringing the Sonos experience to architectural speakers for the first time,” said Sonos CEO Patrick Spence. The Sonos Amp is available now for an Australian recommended retail price of $999. The Sonos In-Wall by Sonance will be available from February 26th and priced at $899/pair. The Sonos In-Ceiling by Sonance will be available from February 26th and priced at $899/pair. The Sonos Outdoor by Sonance will be available in April and priced at $1199/pair.